Our reliable 24 hour airport service provides transfers to all UK airports, and with wheelchair accessible vehicles also available we are suitable for those needing that extra bit of support. We have a wide range of vehicles at our disposal, so whether you’re off on a family holiday or on a big group sporting trip we can accommodate you with ease. We have various size vehicles and box trailers available to transport you and your luggage to and from the airport. Our experienced and reliable drivers will get you there on time and be there waiting when you are ready to be collected on your return journey. Not only do we cater for North West Airports including Liverpool John Lennon and Manchester but we also operate our services to nationwide airports including Birmingham, Edinburgh, Luton, and Heathrow meaning we can take you to any UK airport without a problem. Book your airport transport today and save yourself the hassle of booking a parking space at the airport and then the added stress of actually finding an available space when you get there! Why not let your relaxation carry on when you land back in the UK and let us transport you back home from the airport saving you the hassle of finding your car in the car park and facing that motorway traffic! 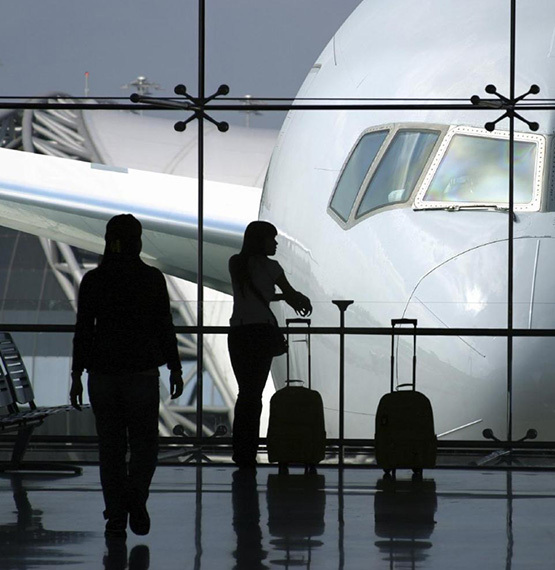 If you would like more information about our airport transport services or would like to get in touch for a quote then please call 01695 580800 or click here to fill in the enquiry form on the Contact Us page. Just a word of thanks for the excellent communication and on time pick ups outward and return on our recent flights to Miami. Booked for a hen party to Manchester Airport. Martin sorted a mix up on the times that I had made and sent the coach at the correct time! Friendly drivers and great minibus! Thanks again. Excellent door to door service for airport transfers. Very efficient I wouldn’t hesitate to recommend Martin and his team. Thank you so much for the fantastic service you provided for our journey home from Manchester on Sunday! Fantastic Company!